Our identity is NOT the color of our hair, or skin. It’s NOT how much $$$ we have in the bank. Don’t EVER let your failure or the failure of others define you! None of these things reflect the REAL YOU. Your TRUE IDENTITY is NOT based on what you see when you look in the mirror. It’s what you see when you close your eyes! WHO’S ON THE INSIDE of you? Because of this decision we don’t evaluate people by what they have or how they look. We looked at the Messiah that way once and got it all wrong, as you know. We certainly don’t look at him that way anymore. Now we look inside, and what we see is that anyone united with the Messiah gets a fresh start, is created new. The old life is gone; a new life burgeons! Look at it! All this comes from the God who settled the relationship between us and him, and then called us to settle our relationships with each other. God put the world square with himself through the Messiah, giving the world a fresh start by offering forgiveness of sins. God has given us the task of telling everyone what he is doing. We’re Christ’s representatives. God uses us to persuade men and women to drop their differences and enter into God’s work of making things right between them. We’re speaking for Christ himself now: Become friends with God; he’s already a friend with you. How? you say. In Christ. God put the wrong on him who never did anything wrong, so we could be put right with God. God wants to take you to the NEXT LEVEL of faith. You will never be able to go there looking at THE OLD YOU! 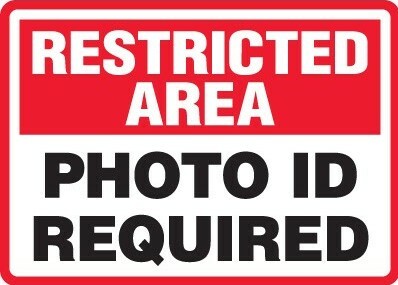 The enemy will keep you restricted from this area until you know who you are IN CHRIST. You will NEVER be able to get to the next level with the wrong ID card. If you’re a Christian, DON’T EVER let the enemy condemn you. If you haven’t surrendered your life to Christ, do so TODAY. Let Him make you NEW. He will give you a NEW IDENTITY. It will take you places you can only dream of.